Please join us for a fun collaboration blog hop with Pretty Pink Posh and Glue Dots !We are going to bring you a fun blog hop where there are PRIZES from both companies up for grabs, along with inspiration and videos. The crafters involved in this hop are going to bring you an array of projects, coloring inspiration and a variety of ways to have fun with both Pretty Pink Posh & Glue Dots collectively. To begin with my card, I cut the frame with a rectangle die such like Pretty Pink Posh Stitched Notes Die from an A2 sized watercolor paper. I ink blending the positive and negative parts of die cuts using Tim Holtz Distress oxide ink in Tattered Rose (For the frame) , in Mowed Lawn an Carved Pumpkin (For the background). In order to create a shaker window, I adhered a piece of acetate paper using Glue Dots Permanent Glue tape. I stamped sentiment onto the background first, then I cut 6 strips of paper to add underneath the front panel for raised dimension. I poured Pretty Pink Posh Jewel in Marigold, Seed beads in Spring Green and 3mm Sparkling Clear Sequins, and firmly sealed the window with Glue Dots Permanent Glue tape again. To decorate the front panel, I colored images from Pretty Pink Posh Pumpkin Patch Critters Stamp set using g Kuretake Zig Clean Color Real Brush Markers on a piece of Bristol smooth paper and cut with Coordinating Dies. I also die cut the leaf shapes from Pretty Pink Posh Small Stitched Foliage Dies and inked with Tim Holtz Distress oxide ink in Mowed Lawn, Carved Pumpkin and Worn Lipstick. I arranged them using Glue Dots Glue Squares and Glue Dots Pop-up dots for some dimensions. At last, I added some Pretty Pink Posh Jewels in Marigold to finish. No blog hop is complete without some prizes. Are you ready for some awesome giveaways? Each company has a prize pack to give away! Glue Dots Prize Pack- An assortment of adhesives valued at $100! 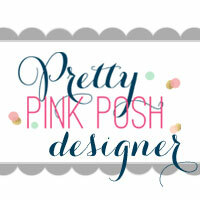 Pretty Pink Posh Prize Pack- An assortment of goodies up to the value of $75! The only thing you need to do for a chance to win is leave a comment on each of the design team members blogs! Winners will be chosen at random from comments left on all blogs on the blog hop by 6:00 AM PST on October 23rd. Winners will be announced on the Pretty Pink Posh and Glue Dots blog. We have a super talented line up ahead…. This entry was posted in Cards and tagged Blog Hop, Glue Dots, Pretty Pink Posh, pumpkin patch critters, shaker card. I love your shaker card. Fall is my favorite time of year. Thanks for your creativity. Blessings! What lovely cards you create. Thanks for the chance to win some great prizes. Blessings to you. Such a cute card. I love the way you created a shaker with the images on top. aww this card is just to cute – love this fun card!! Fabulous card! Love the adorable critters playing in the pumpkin patch! Great coloring and layout. Love both companies!!! Yay for a giveaway! such a fun card! I love it!! you can never go wrong with a shaker card! I’m always looking for a good adhesive to use with shaker windows. I’ll have to try glue dots next. 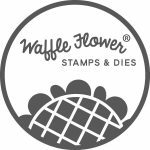 This fall release stamp set is one of my recent favorites from PPP. It’s the cute cats! What an adorable fall card! I love the peeking animals! And the colors you chose for the pumpkins is wonderful. Nice job. This is adorable with these cute critters and the pumpkins. Such a pretty shaker card! PPP has the best jewels and the seed beads add extra interest and sound to the shaker. The pumpkin patch critters are adorable! Love the idea of dimensional glue dots – I’ve not seen them before. Such an adorable shaker card and love the little animals on it. I love your darling shaker card. the images are just too cute. I love them and this is where glue dots would be so helpful. Awesome card. Just gorgeous fall colors! I love how you shaded the diecuts and colored the critters! Oh my goodness Alix what a sweet shaker card! The colours you chose for the background really showcase your adorable focal images. You really have an eye for the right colour combos. Well done! It is so sweet. Love the shaker. That’s very sweet! Love me some cute shakers! pumpkin. Love shakers so adore this. that’s a very pretty shaker card!! what a good idea to use die cuts instead of foam tape for the dimension – i like that!! I love these critters/pumpkins. Perfect time of year and your color choices really speak to Autumn. Nicely done. Great that it is also a fun shaker…. Very pretty. Love the vibrant colors! I love your pretty shaker card. The filling for the shaker is so perfect with the colors you chose. Such a fun and adorable card! OMG!!! Can I have this card???!!! LOLOL Kidding of course, but this is beyond adorable!!! Absolutely adorable! Love the pumpkins with critters! Beautiful coloring and details! Love the dimension from the Glue Dots Squares and Pop-up Dots! This is such a sweet fall-themed card! I like the brighter colors and the sparkly shaker element. What a lovely card!!! Too cute!!! OOOOOOOOhhh! I love this card SO MUCH! The beautiful combination of colors and shapes, plus those adorable little animals are amazing! My absolute favorite from the entire hop! Such a fun cute card! Love it!